Bet the House BBQ is nestled in a small strip center just south of downtown Denton on Elm St. 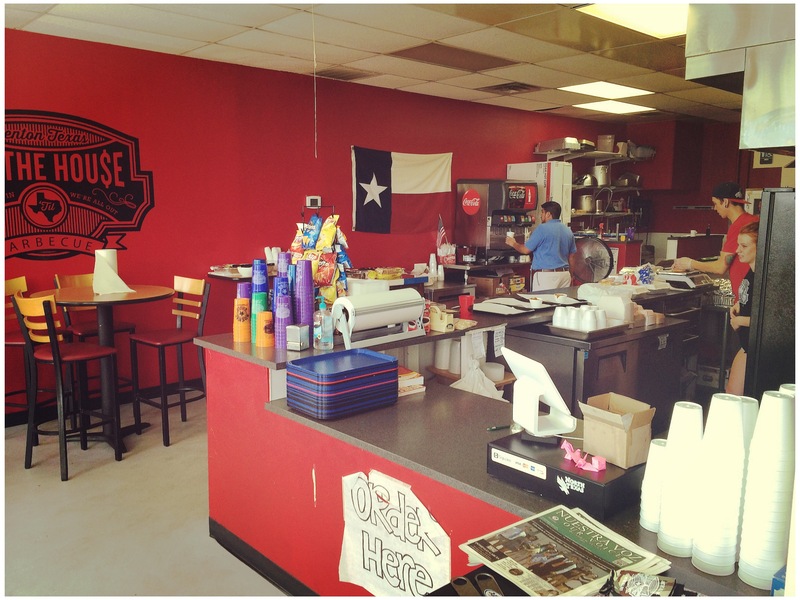 In a small strip center, just south of downtown Denton, Cody Smithers and Shawn Eagle opened up Bet the House BBQ on June 14, 2014. Cody stated it is his hope for Bet the House BBQ to become one of the Texas Monthly Top 50. 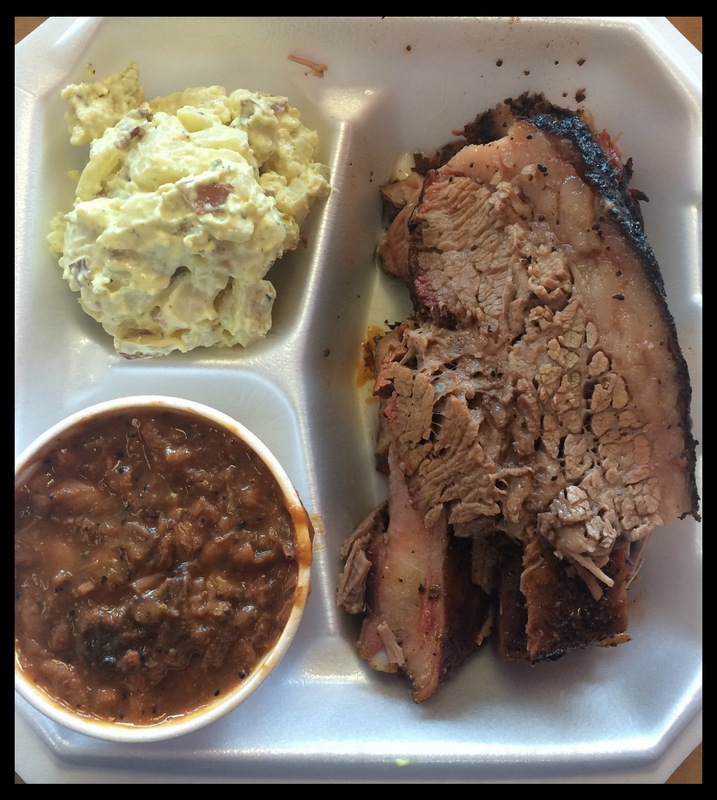 Almost one year to the day, The Best of Texas Barbecue visited the small shop to sample its fare. Staffers from The Best of Texas made the trip to North Texas after sufficient prompting, urging and finally a challenge via Facebook issued by J.D. 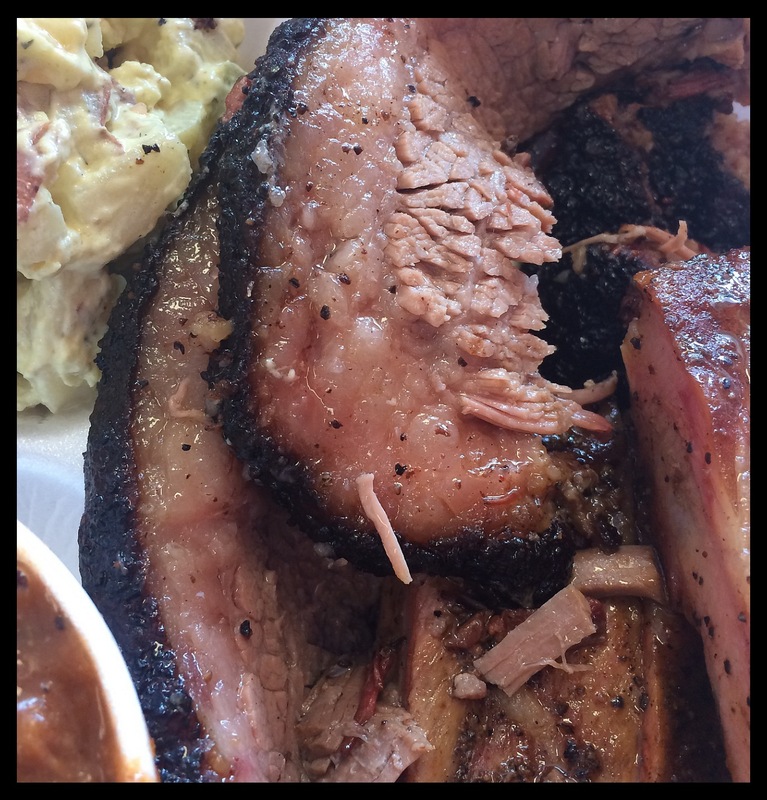 Goldston: “I am challenging you to come to Denton and try Bet the House BBQ…you will not find better brisket or ribs.” As far as the staff can tell, Mr. Goldston is not affiliated in any way with Bet the House BBQ, just a loyal fan wanting recognition for his favorite local haunt. 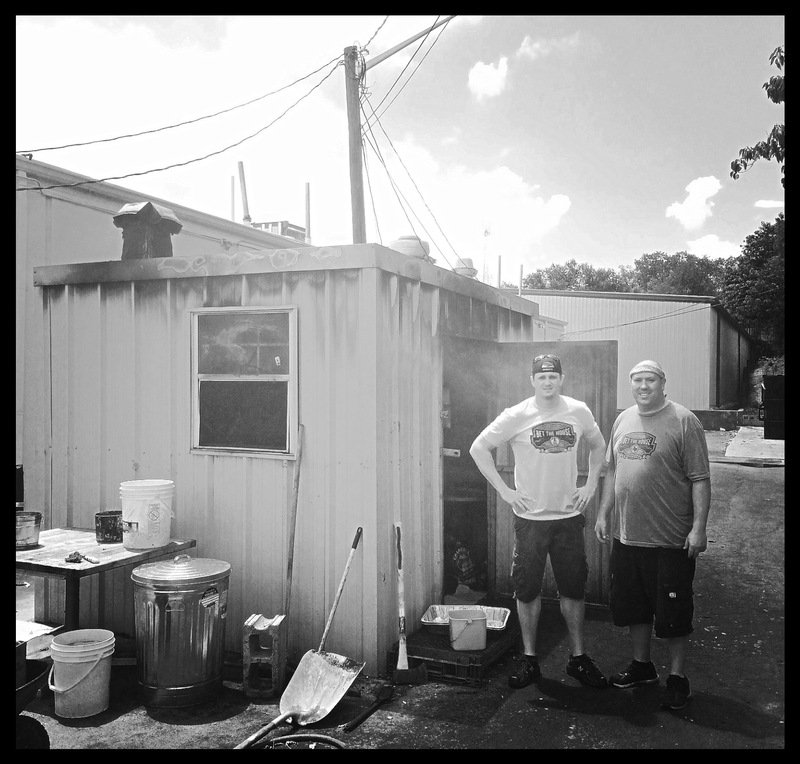 Shawn Eagle and Cody Smithers stand beside the smokehouse out behind the restaurant. Shawn, a special education teacher for Denton ISD, and Cody, a financial analyst for the Dallas Morning News, teamed up to bring authentic Central Texas barbecue to the people of Denton, similar to what Shawn grew up with in Austin, Texas. After taking their show on the road in competitions, and then operating as a catering business, they opened up their store front at 508 S. Elm St. One concession (required by the city) had to be made: the smoke house built out back behind the strip center could only be large enough for a cabinet smoker, not a horizontal unit. Undeterred, Cody and Shawn set out to make the very best smoked meats in Denton. Shawn Eagle opens the smoking cabinet for a look inside. The smoke was so thick, it was nearly impossible to see inside the smokehouse. 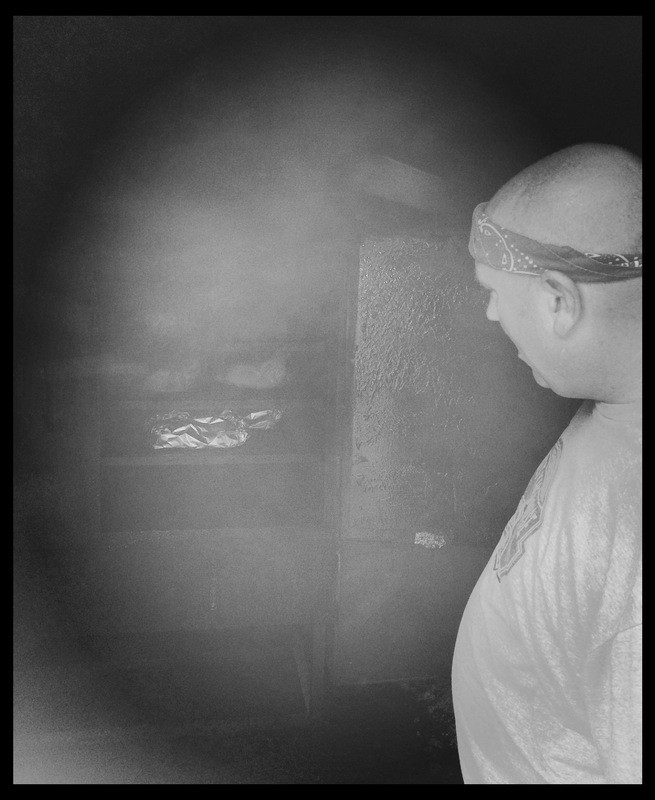 The smoke in the smoke-house was so thick, it made photographing the custom cabinet smoker with offset firebox nearly impossible. Bet the House BBQ smokes its briskets between 12-18 hours. That’s a pretty wide range. It begs the question if they have been successful in regulating the temperature in the cabinet smoker, as weather and variations in meat can’t account for that wide of a range. The brisket has a nice bark, but there isn’t much in the way of a smoke ring, and the fat was not fully rendered into the meat. The meat shows little in the way of a smoke ring, and a thick layer of fat was present on each piece that had not rendered completely into the meat. Obviously it had begun to render, as the resultant tenderness of the meat can testify. The moisture and tenderness of the brisket was superb, making for an excellent eating experience. Nothing is worse than tough shoe leather disguised as brisket. Bet the House BBQ delivered in spades in this category, delivering a thick slice of brisket that you can eat with a fork! The bark on the brisket was very flavorful. I asked for, and received, a few tender morsels from the burnt ends. These delicacies were divine: extremely flavorful, juicy, and tender, making me very happy to have made the trip. Unfortunately, the flavor of the brisket was locked in the bark, leaving the remaining interior pieces of meat to be boring, similar to ordinary pot roast. Also troubling was the amount of fat that had not rendered on the back of the brisket. This unappetizing strip of fat made enjoying the bark pieces difficult. 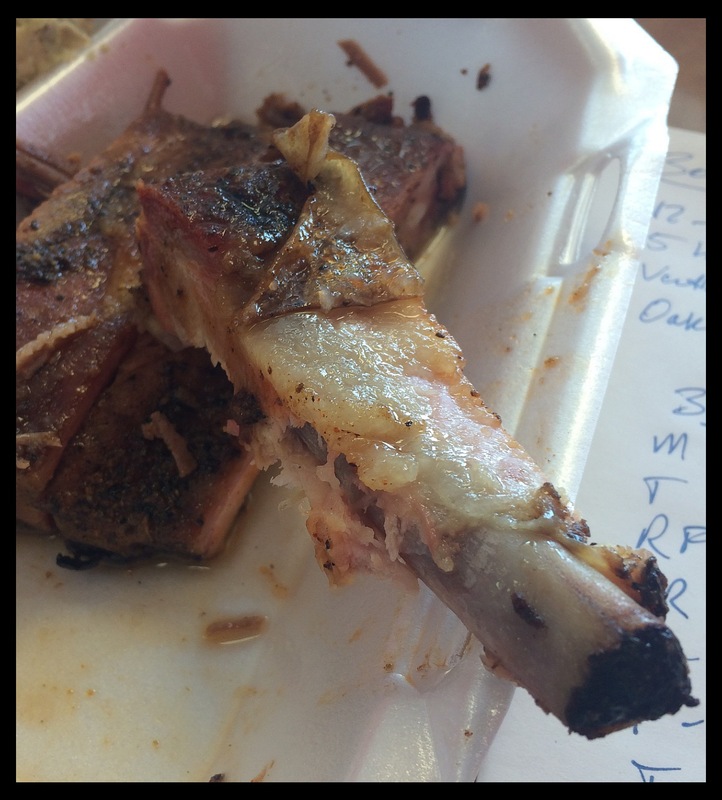 The pork ribs were shorter than what I normally see, and lacked a distinctive bark. I was told the ribs cook for around five hours, with a minimum rest of one hour. 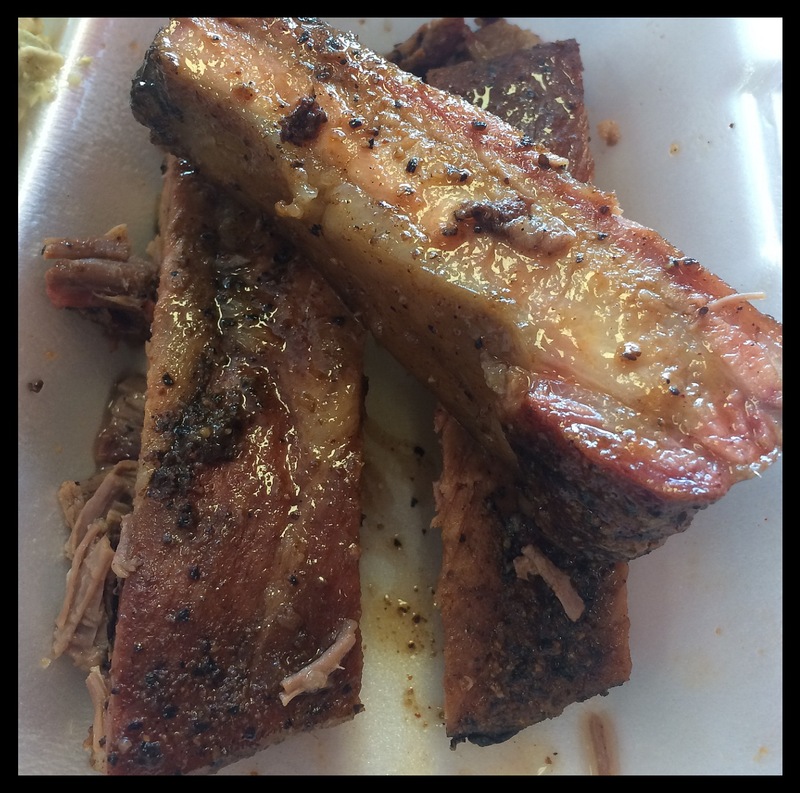 The three ribs I sampled did not show signs of a very long smoke, as (again) the fat had not rendered adequately, and never developed a true bark. The rub was sweet, reminiscent of a baby-back rib. I had trouble pulling the meat away from the bone. These were also shorter than the spare ribs I normally see. For all their technical faults, the most alarming is that they just weren’t that tasty. In short, I was disappointed with the ribs. I gnawed on them for a while, but then just finally gave up. The ribs were very fatty, as they had not smoked long and slow enough to fully render the fat. 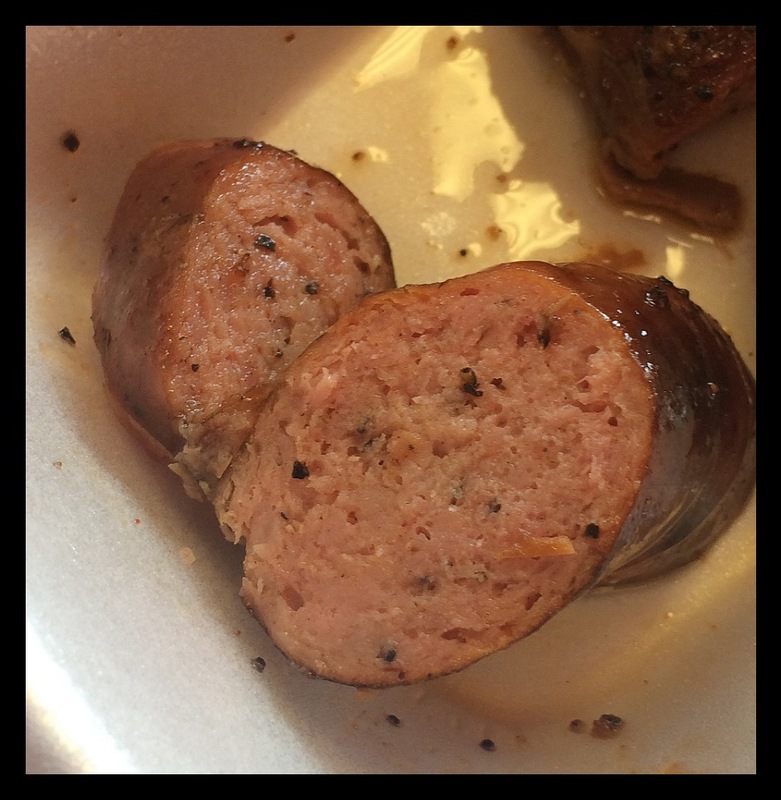 Bet the House BBQ sources their sausage from Fischer’s Meat Market in Muenster, Texas, which is known for their savory meats! Bet the House BBQ sources its sausage from Fischer’s Meat Market in Muenster, Texas. Fischer’s makes the sausage especially for Bet the House BBQ, both the original and the jalapeno cheese variety. The original sausage was good, with a unique flavor profile that is hard to pin down. While I had trouble identifying the flavors I was experiencing, I knew it wasn’t your ordinary grocery store varietal. However, everyone at my table did not appreciate its unique flavor. On the other hand, everyone DID appreciate the beans! The barbecue beans are spicy, and served with chunks of brisket mixed in. They were so good! The spicy and peppery beans with huge chunks of meat were probably the very best thing I ate at Bet the House BBQ. The beans and potato salad made a HUGE impression, with the beans being the very best item sampled at Bet the House BBQ. The potato salad was also a unique offering, not to be confused with what you might find at your local grocer’s. It was herbal, not mustard flavored, and definitely good. The barbecue sauce provided is thick and rich. One dip in the sauce can transform even the most mundane meats into something really tasty. I found it overpowered the meats completely, but if you find yourself not completely enjoying your food, a small dab of this sauce will fix what ails ya! The inside of Bet the House BBQ boasts adequate seating and a clean environment. Open Wednesday through Sunday, 11am – 9pm. 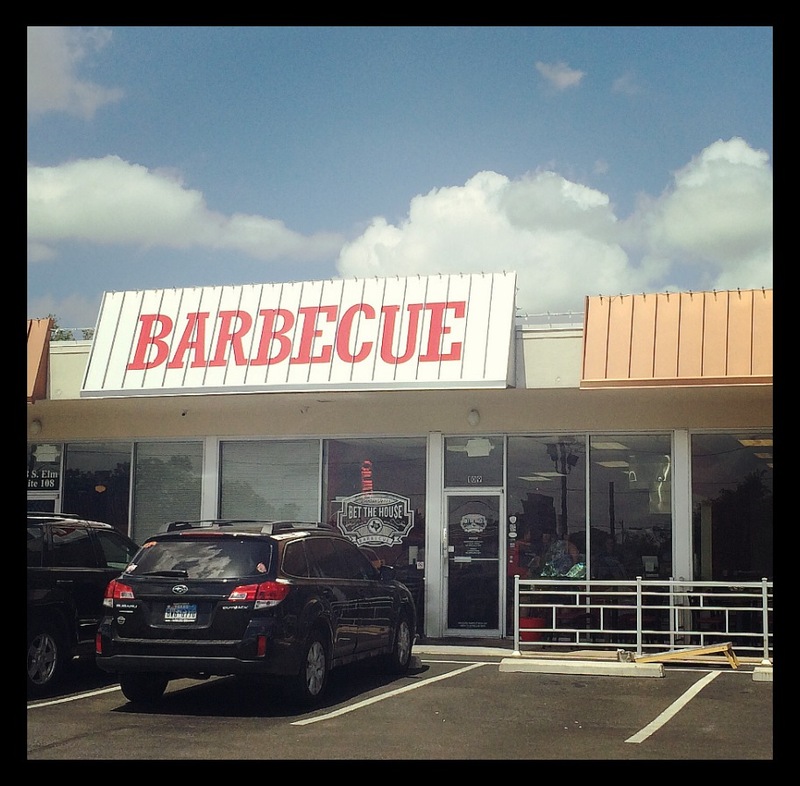 This entry was tagged Bet the House BBQ, brisket, Central Texas Barbecue, Denton, Muenster, pork ribs, sausage, Texas barbecue, Texas BBQ, Texas Monthly Top 50. Bookmark the permalink.